These pictures are soooo cute we couldn't keep them all to ourselves! They are of our Mommy, in the 1950's, 60's and in the 70's with our Dad!! 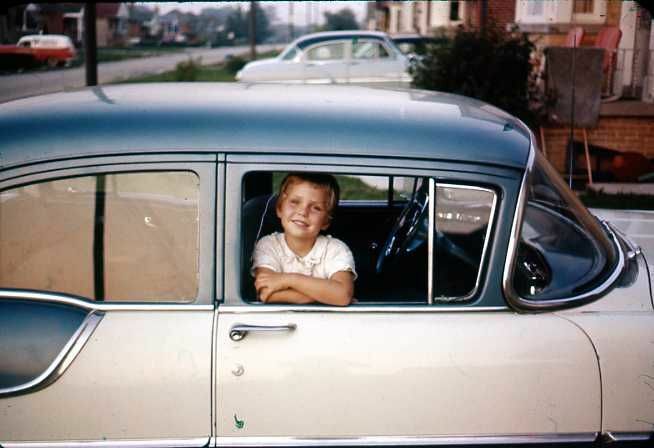 We found shoe boxes with rolls of film in them, that was our grandfathers. They were all film so we had them converted to Cd's and they are the coolest pics of our Mom and Grandparents. We will post more pictures soon! But here is some fab pictures of our Mom to start! 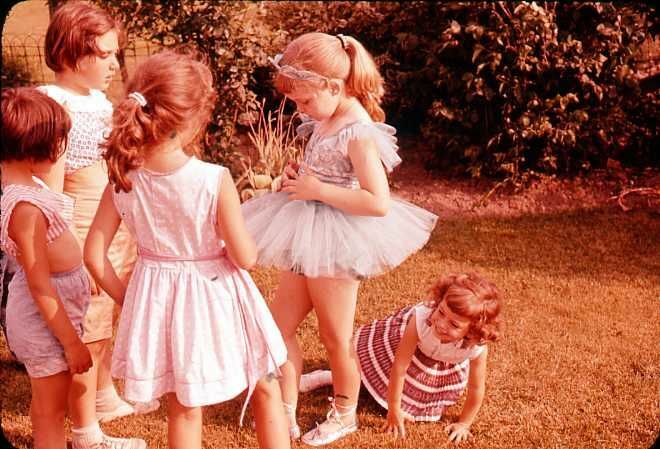 Picture One: Is her in her Ballerina outfit showing all of her friends her outfit before her recital. 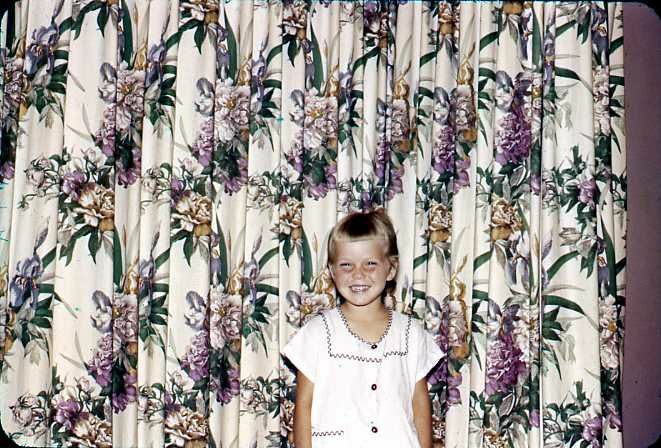 Picture Two: Is her in her old house with funky amazing curtains. Picture Three: In her parents car. She just got her hair chopped off at the Barber shop. 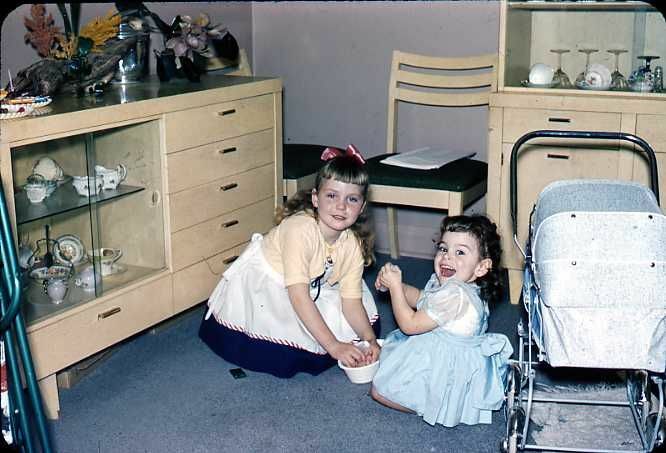 Picture Four: She is playing dress up and dollies with her sister. Picture Five: She is at the Playground goofing around and looking totally stylish. 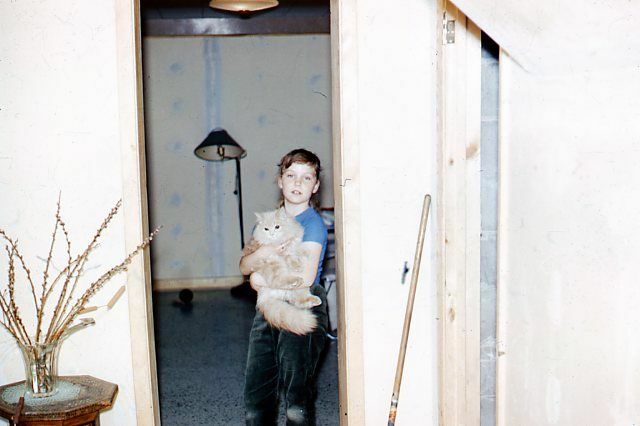 Picture 6: She is holding her cat Blondie. Blondie used to open her bird cage and grab the bird and bring it downstairs to eat it. Our Mom would have to run after Blondie and take the bird out of Blondie's mouth! 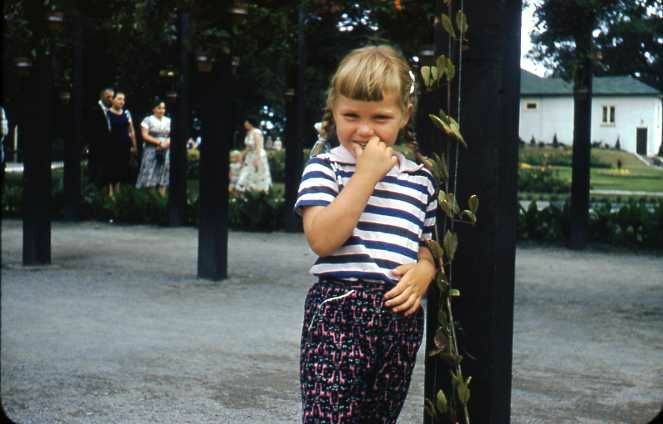 Picture 7: Our Mom at summer camp! She is in her PJ's! 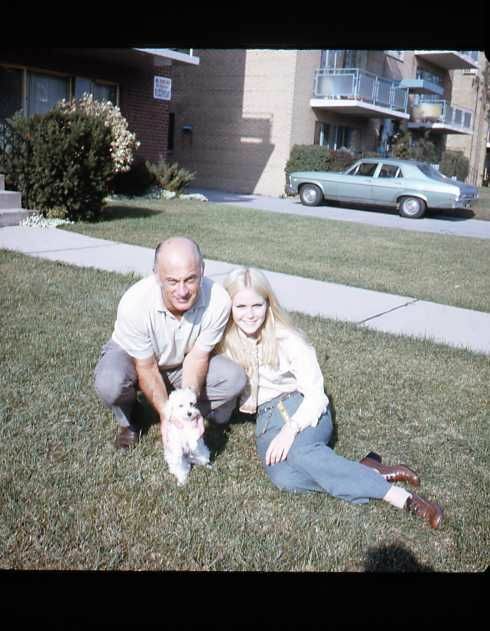 Picture 8: Our Mom and grandfather out on their lawn with her dog Georgie. We look so much like her! 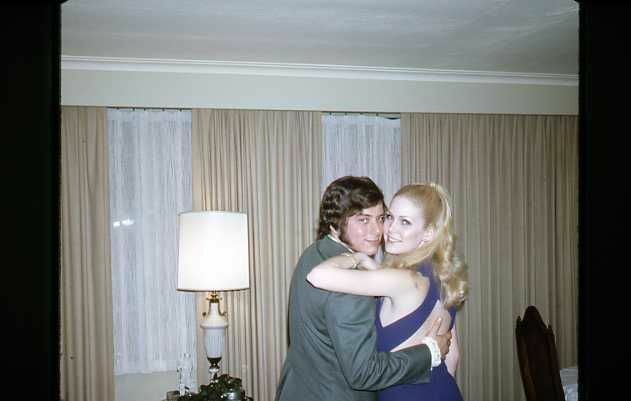 Picture 9: Our Mom and Dad going to a dance! Look at those sideburns on our Dad!! It is so great of you to share these! I love old photos of my parents too- they are also super stylish and fabulous! Even without knowing you, these kind of photos are special to people like me! Your mommy is beautiful! They look all so pretty! Everybody was so elegant! Love them! Especially the last one! I have never seen pictures of Auntie Rana when she was a little girl! So cool! Thanks!!!! made my day with these pics!!! love the one of Rana at summer camp. so glam for camp! !`I see a striking similarity to chloe when your mommy was younger. cute! cute cute!!! !